Women have distinct fitness needs, having an exercise routine that caters to those needs in an exclusive area specifically for women's exercise makes perfect sense. A women-only fitness club addresses the need of today's women who wants fitness programs where they can feel comfortable. Additionally, they have specific fitness concerns that general population gyms cannot always support and cater to. Women-only workout spaces offer fitness activities that address the overall health and fitness of women. Women's personal training routines aid in preventing health conditions that are common to women such as pregnancy, osteoporosis, breast cancer, brain health, and obesity. The primary objective of this initiative is to provide a fitness area for women where they can comfortably execute their exercises without being uncomfortable in their surrounding and where they can get specific guidance. Our women-only fitness club in Salem, MA offers a venue for women to mingle with other like-minded participants. This has a great impact in helping women reach their fitness goals while offering an exclusive sense of community for members. This is also goes a long way in boosting confidence and motivation. To find out more about this women-only fitness club, contact Salem Fitness Center. Most people want to be fit, trim and healthy. But even when you have these attributes, poor posture can still affect your outward appearance and your overall health as you age. Slouching can make you look smaller, less attractive, and can cause chronic back pain overtime. To improve your image and address your posture, consider the yoga fitness class in Salem, MA. Yoga poses can counteract slouching and bad posture. Yoga helps restore the natural curves and alignment of the spine by targeting and strengthening the muscles that support your back. Most yoga poses can help reinforce good posture by promoting correct alignment of the spine while sitting. Doing yoga regularly can easily help you conform alignment awareness when sitting at your desk or during other activities. Additionally, yoga will help you lengthen and strengthen muscles. Poses are performed repeatedly helping you to stretch and tone. Regular yoga fitness class can help improve both posture and flexibility, helping you will become more conscious of spinal alignment. Improving both will help improve quality of life as you age and will improve your appearance and presentation. For more information on yoga, contact Salem Fitness Center. Is your workout routine getting monotonous? Do you want to break the fitness doldrum? Then, perhaps it's about time to switch up your routine. If you're looking for a new fitness challenge, then you might want to join a boot camp class in Salem, MA. Women's boot camp training is a fitness camp exclusively for women. The training is a series of diverse moderate to high intensity workouts. Sessions feature integrated drills that focus on strength training and cardiovascular conditioning. Sine the workout is a perfect balance of cardio and weight training, you can tone and firm your muscles as you shed the weight. Now you can get fit and healthy quickly. It's time to beat your fitness slump. Joining this fun and dynamic workout can make you feel alive and active again. Not only will it make you sweat but it will also show amazing results. You'll get the leaner look you've been wanting while having fun performing the challenges in this workout. 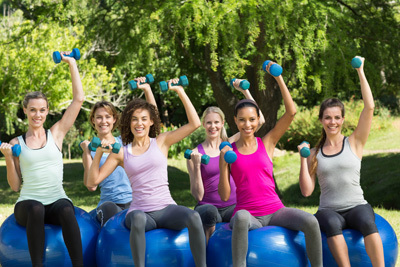 Contact Salem Fitness Center to find out more about women's boot camp class. Finding the right place to do your workout is important to maintaining your motivation. Consider a few things about each gym before investing your money into a membership. State of the art equipment, complete amenities, clientele, and good ambiance are the things that you should look at and for when selecting a fitness gym. For those who work or reside in Salem, Swampscott, Marblehead, and Peabody, Salem Fitness Center is now offering a FREE 3-Day Gym Pass. Try out the gym , look around, see what our gym has in store for members with a free 3-days. There are plenty of free weights, state-of-the-art gym equipment and a variety of group exercise classes. The trial membership lets you check out the entire gym before deciding to sign up with a regular membership. For those interested, sign up for a FREE 3-Day Pass by filling out our free gym pass form. Head to our front desk to activate your pass. Contact Salem Fitness for more details. Boxing style fitness classes are gaining popularity among women. A Boxing training cardio workout is a form of combative exercise that can help you get in shape and lose weight. The strategic integration of cardio and circuit training is a surefire way to trim down, double-time. In group exercise boxing drills in Salem, MA you throw unlimited blows to a punching bag which is an effective method to burn excess calories and relive stress! You will learn variations on forms for properly throwing punches while the repetitive arm exercise shape your muscles. Also, trained coaches are there to teach you techniques on how to execute correct footwork as you hit the punching bag. This heart pumping workout can definitely help you achieve a more slender figure in no time. Moreover, boxing workout class is your go-to whenever you feel stressed or need an outlet to release tension in your body. This is a safe venue for you to throw punches without harm. To find out more about this workout, contact Salem Fitness Center.